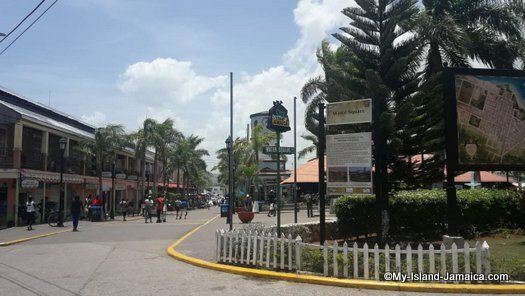 Falmouth Jamaica Port - Where History Comes To Life! 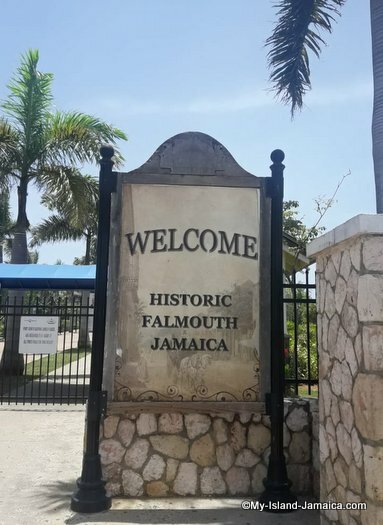 The charming, historic town of Falmouth, parish capital of Trelawny, is a popular port-of-call for many cruise ships and is located on Jamaica's north coast in between the other major port cities of Montego Bay and Ocho Rios. Since the recent modernization of its harbour, Falmouth can welcome some of the largest passenger ships and has experienced a sort of “re-birth” as more visitors than ever arrive to discover the treasures this lovely town has to offer. When you dock in Falmouth, you will likely find that time seems to fly by because there is are so many fun things to do here and exciting places to see and you will be sad to leave! Falmouth was founded in 1769 and named after a town of the same name in England. In the late 18th century, the area developed into a leading producer of sugar cane. As Jamaica became the world's top exporter of sugar, ships were loaded up and sent overseas from Falmouth's busy port. Many slave ships also arrived at this port, full of West African slaves who were auctioned off to local plantation owners. During this economic boom, Falmouth grew and flourished with more and more buildings being constructed, many examples of this colonial Georgian architecture are still standing today. Once slavery was abolished, Falmouth gradually faded from the foreground and continued to exist as a quiet, waterfront town. The area in and around the Falmouth port is teeming with excitement ; from the sound of lively reggae music to the succulent scent of jerk chicken cooking, to the colourful crafts being sold by the vendors, there is something for everyone. As soon as you step off your ship, you will find a vast number of restaurants offering tasty local fare, along with numerous souvenir shops and a craft market where you can enjoy some duty-free shopping right in the Water Square and at the Albert George Shopping and Historical Centre. Float down the Martha Brae River on a relaxing bamboo raft ride, as a friendly guide leads you through the Jamaican wilds, where you may see some exotic birds or an iguana. In nearby Ocho Rios, you can climb the wondrous Dunn's River Falls, experience an exciting ride on a Jamaican bobsled or zip-line at Mystic Mountain Rainforest Adventure Park, or swim with the playful dolphins at Dolphin Cove. The Good Hope Great House is a lovely 18th century plantation estate home just a short distance from the port, it's available for tours, and with reservations, you can also enjoy a fabulous lunch there.